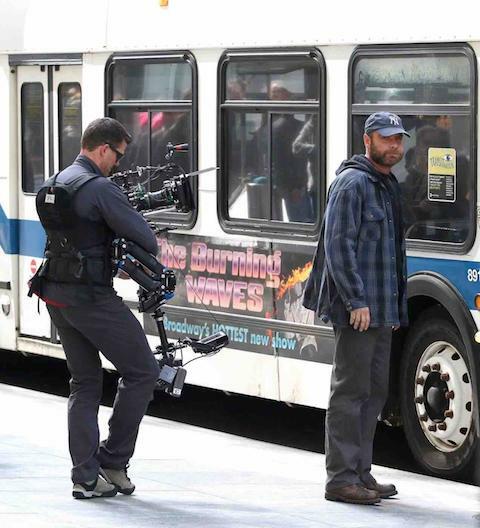 Liev Schreiber’s character Ray Donovan is firmly entrenched in New York for season 6 – Ray was filmed getting off a city bus in Times Square today. (And Susan Sarandon is joining the cast as a series regular.) Liev seems to have settled his private life into a good place. The 50 year old actor split with Naomi Watts, 49, in 2016, and they have two young boys. He’s been dating beauty queen Taylor Neisen, 26, (Miss South Dakota) since last year and friends felt bad for Naomi. But now Naomi is happily dating an age appropriate actor, Billy Crudup, 49, – her costar in the new Netflix series Gypsy. So all is well – Liev and Naomi are friendly and spend time together with their kids and dogs. Ray Donovan star Liev Schreiber, 50, and Naomi Watts, the mother of his two sons, only split a little over a year ago, and he’s already dating a 26 year old beauty contest winner! Naomi can’t be too thrilled about Liev’s romance with Miss South Dakota 2012, but what’s a girl to do? Their sons get along just fine with Taylor Neisen and in the beginning some people assumed she was the boys’ nanny. It turns out Taylor comes from a wealthy family (private plane etc) and she’s in the process of getting her own place in Manhattan. One drawback: some observers say young Taylor makes Liev look OLDER…. 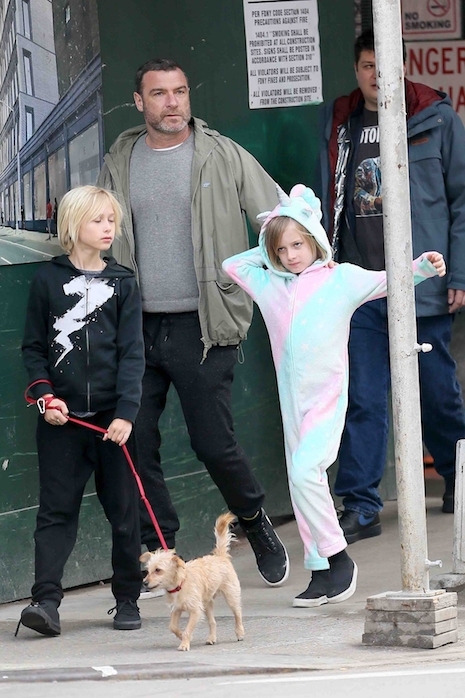 Ray Donovan star Liev Schreiber and his two sons, Sasha and Samuel (in the pink and blue unicorn suit) took one of their dogs for a walk in Manhattan. Liev and Naomi Watts have split, but seem to have no problem with custody of the kids. Liev was very smart to adopt TWO lookalike brother and sister dogs who were left homeless after the Houston hurricane. Naomi approved of the adoption and the pups were named Willow and Woody. Now she and Liev each have a dog at home – and the kids have a dog wherever they spend time. If Naomi Watts, 46, looks particularly glamorous on this bike ride, it’s for a good reason. She’s a spokesperson for L’Oreal and the cosmetic company was enchanted by her family’s dedication to bicycle riding. 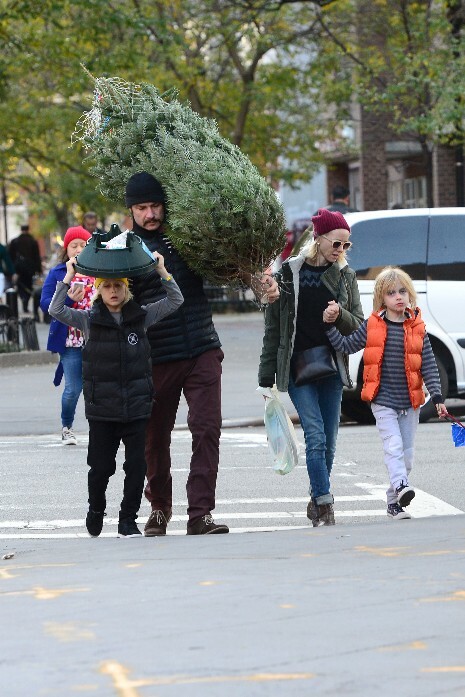 She and Liev Schreiber and their two sons are seen riding their bikes all over New York. L’Oreal arranged a photo session with Naomi and her son Samuel riding on a white designer bike with a child’s passenger seat, in Central Park. Every time Naomi stopped, a team of hair and makeup people ran up to perfect her windblown look. We’re not entirely satisfied with the Oscar nominations because “The Impossible” was not among the Best Picture choices. We were infatuated a few months ago by the trailer and the movie itself more than lived up to expectations. It’s by far, one of the most heartfelt and gripping movies of the year. And it’s very likely to win Naomi Watts an Oscar – make an effort to see this beautiful and touching film. Back in August we showed you the trailer for the potentially heartbreaking movie “The Impossible” (CLICK HERE to see it again -and keep some Kleenex nearby) It’s the true story of a family struggling to survive the 2004 tsumani in Thailand starring Ewan McGregor and Naomi Watts. Naomi looks beautiful at the Madrid premier and she’s pictured with Maria Belon, the REAL survivor that the story was about. (We’re happy to see she’s alive!) The movie has a December 21 release date.